I planned to make the always popular cake pops as Valentine’s Day treats for Kate’s daycare class tomorrow, but we recently discovered that one of the kids in her class has an egg allergy, so I had to change my plans. 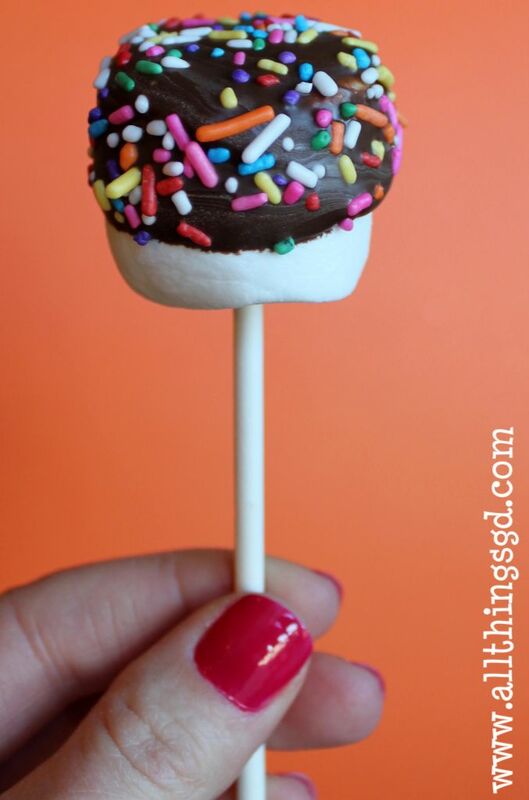 I decided to go a much easier route and make these marshmallow pops instead! Melt your dipping chocolate in the microwave according to package directions. Be sure to use chocolate that is meant for dipping or candy coating (not chocolate chips). 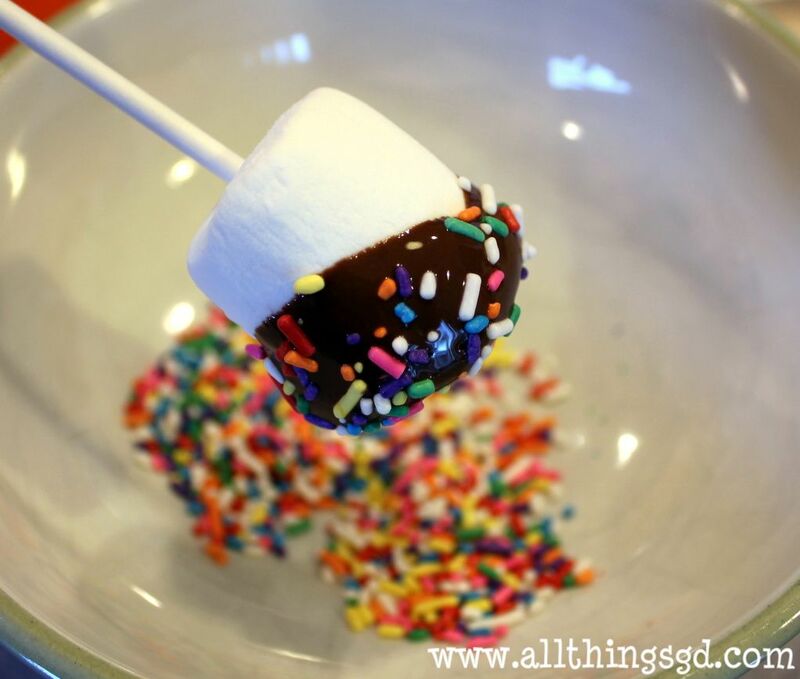 Stick a lollipop stick in the bottom of a marshmallow and dip the top of it in the melted chocolate. 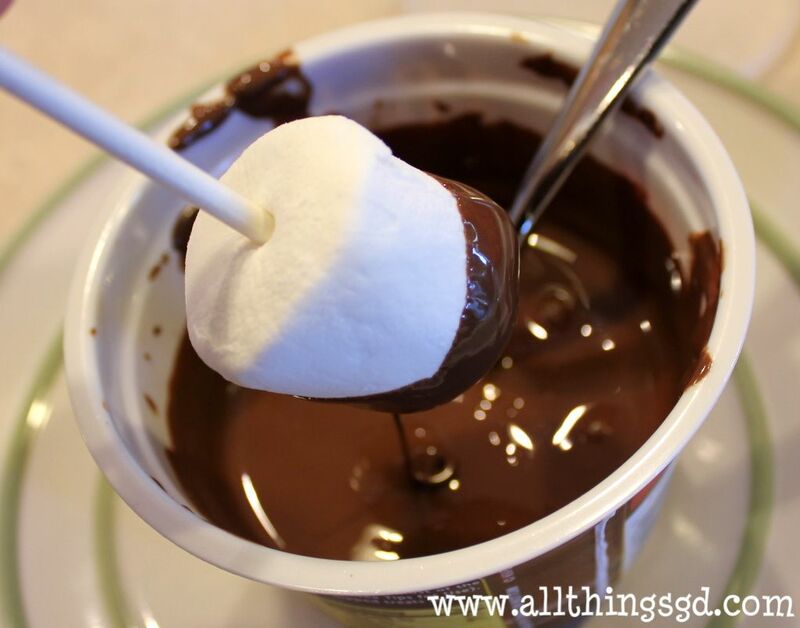 The chocolate will slide down the sides of the marshmallow a bit, so you do not need to dip it very deep into the chocolate–about a quarter of the way is good. Once the chocolate coating dries, I like to cover them in little candy baggies and seal with a twist tie. To finish, I tossed them in heart-covered treat bags along with little Valentine’s notes for each child. 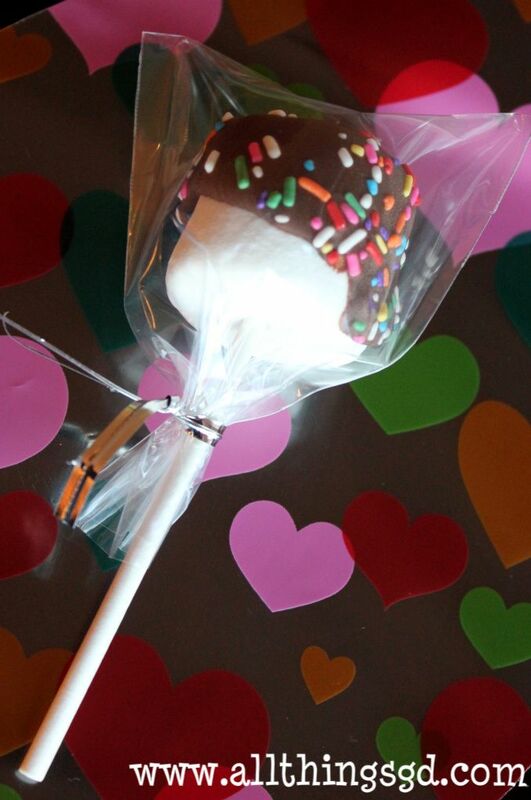 These marshmallow pops made a quick and easy way to surprise Kate’s friends with a fun little treat this Valentine’s Day! Also, a way to make the cake pops egg free would be to substitute a can of soda (diet or regular) for the eggs and oil in a box of mix. It works great!!! Great tips Beth! Thank you! Great idea!! Garrett would tear these UP. I pinned it! 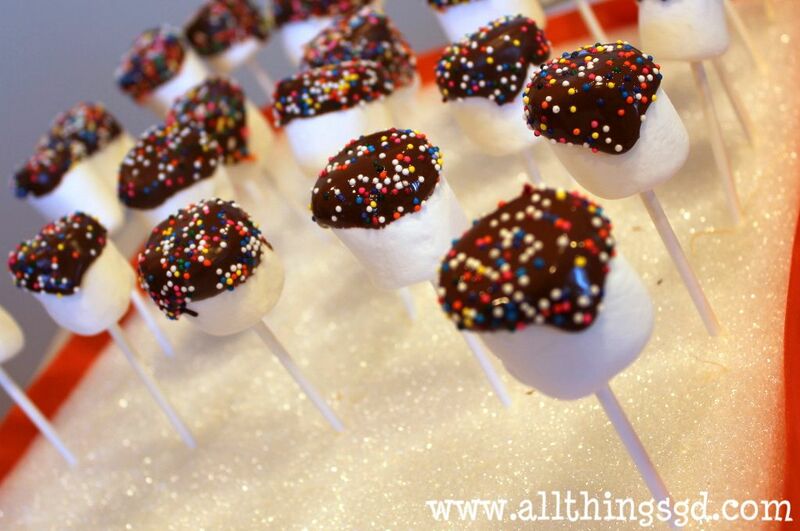 Super cute and the white marshmallows really pop against the chocolate. Prob less messy than cake balls for kids too!